Wellness for the World: How Heavy is YOUR Stress? How Heavy is YOUR Stress? I have to thank Dr Dan Yachter from www.elevationhealth.com for this awesome analogy on stress. She replied, "The absolute weight doesn't matter. It depends on how long I hold it. If I hold it for a minute, it's not a problem. If I hold it for an hour, I'll have an ache in my arm. If I hold it for a day, my arm will feel numb and paralyzed. In each case, the weight of the glass doesn't change, but the longer I hold it, the heavier it becomes." 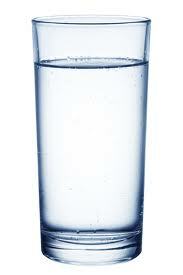 She continued, "The stresses and worries in life are like that glass of water. Think about them for a while and nothing happens. Think about them a bit longer and they begin to hurt. And if you think about them all day long, you will feel paralyzed - incapable of doing anything." This analogy is a perfect representation of what most people do in our culture, and I am not talking about putting down the glass. We are a culture of holding this glass until we experience pain and discomfort. Unfortunately, most of us even continue to hold onto this long after we begin experiencing these challenges. So what does this do to the body? As you likely already know by reading this newsletter, holding onto the glass is a major contributing factor to adrenal issues. To learn more about the affect stress has on adrenal glands click here. Understand that this is so much more than just your adrenals. This affects your brain function, inflammation, blood pressure, thyroid function, female hormones, digestion, detoxification, immune function, cellular energy, blood sugar balance, quality of sleep and of course your moods. This isn't even a comprehensive list as I am touching on the more significant issues at this time. Let's look at some of these areas specifically. Starting with the brain it is important to know that stress actually has an accumulative affect on the brain. Often clients will say that they have not had significant stress during their lives. They are thinking of major traumas though, such as death, life threatening disease, divorce, you get the picture. But based on the fact that all of life's little stresses tend to accumulate over time, many of these little stresses can create the same affect as major traumas. Another big area to look at is with inflammation. I often see clients in my practice that are living with chronic inflammatory states. While it is noted that common causes of chronic inflammation tie into adrenal fatigue, infection, poor diet, gluten or other cross reactive foods and chemotherapy treatment, stress is also a trigger for inflammation. So yes, your perception and reaction to life's stresses impact inflammation in your body. How many people actually feel bodily pain and discomfort after a stressful event? That answer is many or most and that is directly tied into the inflammation created via this response. How about digestion? Did you know that your body uses a huge amount of blood within your digestive system? Did you also know that when you are stressed out, this blood is actually directed away from your digestive system and pushed to your muscular/skeletal system. This is a perfect flight or flee response, because it is obviously more important to your body to save your life rather than digest your food properly. The big challenge here is that most of us are not in true life and death situations and the stress is simply holding onto the glass for too long. Blood sugar is another big issue as tied into stress. I had an client back in Illinois, prior to my move to California that was a type II diabetic. This was such a chronic issue for so long that the person had already lost their eye site and one limb. When I first started working with them, blood sugar was regularly between 250 and 350. But the kicker though was the fact that when this client's stress levels were up, the blood sugar would rocket up to 450 to 500 and often higher. Yikes! So why does stress raise blood sugar? This is due to fact that your body is tapping into stored glycogen to release huge amounts of sugar into your blood, to do what? To provide the necessary response for your fight or flee situation. But as discussed earlier, this fight or flee is typically not a true life or death situation and you are not fighting or fleeing anything. Due to this, the high blood sugar levels long term simply lead to insulin resistance and insulin surges. So really, do you want to continue to hold onto your glass? How about quality of sleep? So many of my clients have issues with sleep. This may be challenges falling asleep, waking often through the evening, waking too early or even if they sleep through the night, that are still not waking up rocked and ready to go. You know if this is you, the snooze alarm is your best friend. Holding onto your glass affects sleep in so many ways. Often this is increasing night time cortisol, which in turn is lowering night time melatonin, thus poor sleep. Almost as likely is the stress factor with neurotransmitters. Poor neurotransmitter function will trash your sleep patterns as well as creating many other chronic health challenges. More to come on this with future newsletters. So how do you put down the glass? One way to do this is to practice deep breathing techniques. To do this follow the directions below. Try this right now and you will recognize that it will be much easier to put down your glass with this technique. There are many other tools that can be used to assist you in putting down your glass such as ERT, EFT, TFT, EMDR, spinal correction, soft tissue work such as rolfing and massage, prayer and exercise. I feel that it is important to find what resonates with you and most important, what works for you. After all, doesn't it sound much easier to simply put the glass down?!?! What Pain do you Choose?